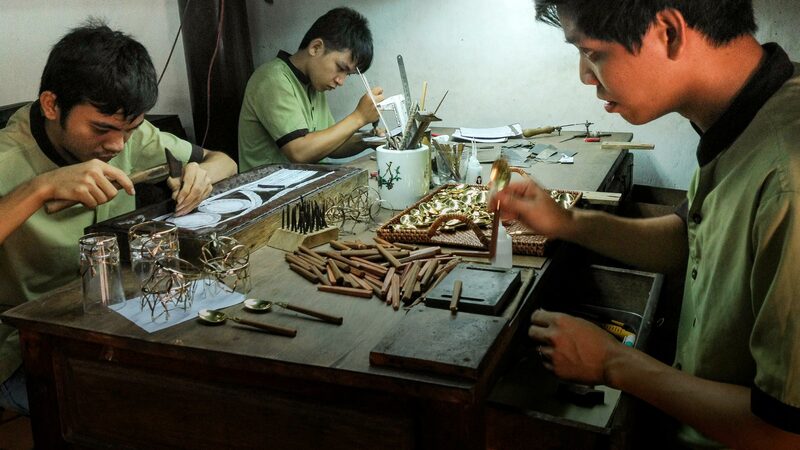 Gifts that give twice – The unique items you buy or the experiences you enjoy at Reaching Out give the gift of opportunity to our skilled artisans and servers; you will have fond memories of authentic Hoi An. Reaching Out (Hòa Nhập) was established in 2000 with the vision of providing opportunities for people of disability (PWD’s) to learn skills and gain meaningful employment so that they are able to integrate fully with their communities and lead independent and fulfilling lives. Over the years, our social enterprise, Reaching Out, has grown to a multi-location group of businesses where people of different abilities can showcase their unique talents in an array of exquisitely crafted goods and gracious services. Driven by strong core values and a commitment to quality and integrity, more than 70 employees, both able bodied and the disabled, now comprise a strong team who together, have created this world-renowned enterprise. We count visitors and locals alike in our broad base of loyal customers who seek authentic Vietnamese products and experiences and who choose to support a locally owned, sustainable and fair-trade business. We attribute our success to our ability to listen to our customers; our empowered team and a responsive, evolving frame of reference. Our name in Vietnamese, Hòa Nhập, means integration. And, we believe that a gift from Reaching Out gives twice.